A famous commentator on hope, Ernst Bloch, observed that relatively little has been written on hope in the great literatures of history and suggested that this has influenced how we perceive the world. He noted that there has been much advancement in science, psychology, and the social sciences but the dominant focus has been on mental processes, especially analysis, Academics have analysed the physical world, cognitive processes, and social and political processes but very little attention has been given to the quality and actions of hope. Bloch argued that analysis, while valuable, looks at what was or what is but not at what could be. Hope is often understood as a goal focused exercise designed to motivate one to achieve a desired outcome. While this is true in part, hope, according to Bloch, also emerges into consciousness unexpectedly. He meant by this that what we hope for often can surprise us. Instead of only being a conscious act of goal pursuit, hope can gradually emerge from a deeper place within us, rising into consciousness unexpectedly. This emergent hope is powerful as it is full of energy and passion for that which is not currently present. This hope imagines and predicts a new future previously unimagined. Understanding hope as both current goal focus and the not yet fully conscious reality full of potential, suggests that rather than analysing what is or has been, we should make space in our regular routine for quite reflection and imaginative play about what our future might or could look like. 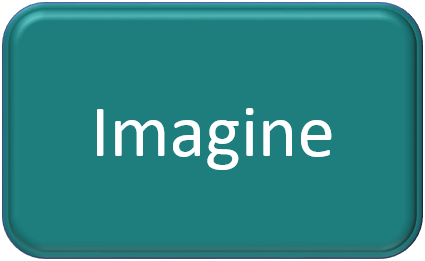 Using our imagination activates our brain differently to analysis. You might be surprised how powerful the practice of imagination might be.